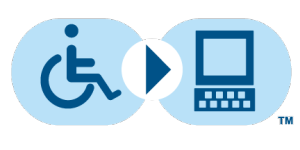 There are a lot of tools and devices to help those with disabilities focus. Below are a few categories with different tools to help with focusing! This list is always being updated! If you have any resources you would like to share please leave it in the comment section below and we will add it to the list! Believe it or not, fidget can actually help those with focus difficulties pay more attention to teachers or presentations! By giving the individual a way to let go of some excess energy they can give more focused attention to what is going on around them! Below are three stores that sells fidgets for those with attention difficulties.